Every breed of dog that is registered with the Kennel Club has a set description of how it should look, move and behave. In America these ‘standards’ are owned by the individual breed clubs but in the UK it is the Kennel Club who own and control each breed of dog. Although the breed clubs have input, it is the Kennel club who have the final word in the description of each breed. An example of how the Kennel Club can over rule a breed club's decision was shown recently when it was decided that every breed should have a description of the tail both docked and complete. Simple you may think, but all dog tails are different! Also the implication put on the KC’s decision to include full tail descriptions for traditionally docked breeds made many dog owners and breeders assume the Kennel Club was no longer supporting the breeder’s right to have their dogs tails docked at birth. As each breed needs to be described in detail the standard is broken down into parts of the body and a general guide about the particular breed. There is the same layout for every breed – rather like a blueprint; if each part of your dog is the same as the official breed standard then you most likely have a very good example of your chosen breed. The sections covered are: General Appearance, Characteristics, Temperament, Head and Skull, Eyes, Ears, Mouth, Neck, Forequarters, Body, Hindquarters, Feet, Tail, Gait/Movement, Coat, Colour, Size, Faults and finally there is a note about male dogs and their testicles.Each section is very detailed and draws a very good picture of each breed. Anyone who is serious about his or her chosen breed must take close notice of the standard. Exhibitors want to show the perfect dog so they weigh up each point closely and compare it to their own animal – the perfect dog has never been bred, but we all live in hope! Breeders do not want to breed for the money (yes, there are probably some that do) but for the progression of their chosen breed. They breed for temperament and health as well as conforming to the standard to produce the best examples of the breed they can. This is why in each breed some kennels rise to the top to become the top breeders year after year – these are the perfect people to buy from. Judges do not stand in the middle of a show ring and pick their winners from their friends (well yes I’m afraid some do) if this happens they will not be invited to judge very often. They are looking for the dogs that best fit the breed standard in each class. Even if you are buying a dog as a pet and family companion you still need to buy a good specimen of your chosen breed. Granted, you may not have the perfect example, the coat may not be the best quality, perhaps the dog is too tall or a little on the short side. 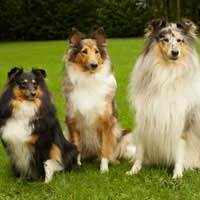 You still need to know that the dog has been bred by someone who has followed the breed standard, particularly the health and temperament part. The Kennel Club owns the copyright to every breed standard. However you can view them on their official website.Your breed club and breeder can also show you a copy of the breed standard. When buying books about your favourite breed, the standard will be reproduced in the book along with an explanation of each section.